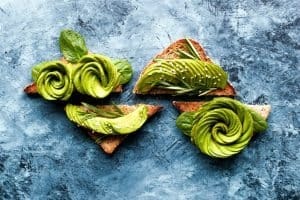 Just when we thought we were safe with a high fat, and gluten-, dairy-, refined- sugar free existence, we learn that avocado is a high FODMAP food. FODMAP stands for Fermentable, Oligosaccharides, Disaccharides, Monosaccharides and Polyols, which are foods that easily ferment and are poorly absorbed in the gut. In people with sensitive stomachs and IBS, they can cause bloating, diarrhoea, and intense pains. Avocado is, unfortunately, a polyol. If that’s not bad enough, other fart-inducing foods include cauliflower, coconut, sweet potato, onion, garlic, alcohol, some nuts, and a handful of other fruits and veg. I don’t really need to mention it as we’re all aware of the beans song, but beans and legumes also feature highly on this list. Eliminating high FODMAPs have scientifically been shown to reduce symptoms of IBS, and whilst they don’t cause the condition itself, they are known to aggravate it a lot. … And What Is SIBO? One of the most common reasons that these foods can cause trouble is due to a condition called SIBO, or small intestinal bacterial overgrowth as is it known in the medical world. SIBO occurs when bacteria from our colon runs a little wild, rebels, and ends up sitting in our small intestine. It’s basically like a squatter (no pun intended) that tries to eat our food when it shouldn’t, and can cause malabsorbtion of nutrients, IBS symptoms and possible stomach lining damage. Symptoms of SIBO can include: nausea and vomiting; bloating; fatigue; skin issues like rashes, acne, eczema, and rosacea; anemia and B12 deficiency; and mood issues like anxiety and depression. Good and bad news: This can be a massive dietary challenge, but may explain why you’ve been feeling so rotten when the rest of Instagram is thriving in their ‘clean eating’ selfies. Commonly, SIBO happens when there is low stomach acid, either from stress, low levels of zinc, an episode of food poisoning, or from taking those fabulously marketed antacid medications. It can also arise due to diabetes, structural defects, immune system issues, diverticulosis, coeliac disease, or from the natural ageing process. If No Smashed Avo, What Can I Eat? Don’t be alarmed folks; if you have to experiment with low FODMAP foods, there are plenty of fun foods on the list (Although vegans and vegetarians a little less so…). 100% chocolate, or make your own with stevia or maple. As the beneficial bacteria in the rest of our gut needs some fermentable foods to keep us feeling healthy long-term, a low FODMAP diet is not designed to be forever. Sometimes just taking the offending foods out for a few months and treating any bacterial overgrowths with antimicrobials is enough to solve the issue, and then you can begin to gradually reintroduce foods and see how you cope! Hurrah! Please don’t be thinking that just because you have wind and depression, that you absolutely have SIBO and need to make some rapid dietary changes. Many of the symptoms overlap with various other digestive conditions, for which this dietary protocol may not be necessary. It’s always best to speak with a nutritional therapist/ functional medicine practitioner who can guide you down the right path! As part of my practice I offer lactulose breath testing and stool tests, which can help uncover the root cause of your digestive issues, so please get in touch if you’d like support!